When Verizon announced last week that it will boost the speed of its broadband connections through its fiber optic network FiOS, it deliberately omitted an important piece of information: what's it going to cost consumers? Now, through a leak within the company, that information is apparently known. FiOS subscribers who want to take advantage of the service's top tier speed -- 300Mbps for downloads/65Mbps for uploads -- will have to pony up $204.99 a month, with a two-year agreement, according to a report appearing in The Verge. For speed demons, the boost to 300Mbps will be a boon, as it will match the top speed of many dual-band routers. The speed increase is less exciting for owners of single-band routers, which typically only use the 2.4GHz band topping out at 150Mbps. Verizon's new service will be rolled out on June 17, the report notes. The current top speed for FiOS is 150Mbps for downloads/35Mbps for uploads. That top tier will be increased to 300/65. Below that will be a 150/65 tier ($94.99, with two-year agreement), as well as 75/35 ($84.99) and 50/25 ($74.99). Subscribers who don't want to sign two-year deals can obtain a higher speed service for an additional $5 a month. Two current lower speed tiers will also be offered under the new scheme: 15/5 ($64.99, with two-year agreement) and 3/1 ($54.99). The 15/5 rate is a $10 increase over what's currently charged for that service level. The 3/1 plan is currently offered only to Verizon DSL customers who upgrade to Verizon broadband, and it's expected that will continue under the new pricing regime. In addition, if you don't use Verizon for your phone service, you'll pay an additional $5 a month "surcharge" when you upgrade to one of the faster tiers. But wait! There's more. If you want to take advantage of the highest tiers -- 150/65 and 300/65 -- you may need an equipment upgrade that'll cost you $100 and require a two to four hour service call. That fee is waived, however, if you're a new customer, sign a two-year agreement, or are already using a 150Mbps tier. In an interview with PCWorld last week, a Verizon spokesperson explained that existing customers who do not wish to upgrade to the new speeds can continue to receive service at their current speeds and rates until their contracts expire. Do you need to upgrade your current FiOS connection? 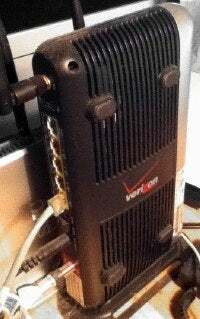 According to Verizon, its 15/5 tier is suitable for a household with one or two Internet-connected users, while the 150Mbps and 300Mbps tiers are for households with five or more users who want to receive the best quality HD video on multiple devices. By comparison, Consumers Reports contends that households with "heavy" Internet usage where four people may be online simultaneously can get by with a 15Mbps service.